"How can you let her do this to me?! She's try to make me look bad!" An official trailer has debuted for the film Mr. Roosevelt, which won the Audience Award at the SXSW Film Festival this year. Written, directed by, and starring actress-turned-filmmaker Noël Wells, this indie romantic comedy is about a woman who returns to her hometown of Austin, TX and encounters her ex-boyfriend, who is now living with his new girlfriend in their old house. She has to comes to term with the situation and her own life, while dealing with her ex's new girlfriend who seems to be pretty much perfect. The cast includes Nick Thune, Britt Lower, Daniella Pineda, Andre Hyland, Doug Benson, Sergio Cilli, and Paul Gordon. This looks funky and quirky and totally indie. Perhaps even too indie, but oh well. Looks like it's best to see at a film festival. Emily Martin is a struggling 20-something who moved to Los Angeles to pursue a career in comedy after graduating college in Austin, Texas. When a loved one falls sick, she returns to Austin and runs into her ex-boyfriend, as well as his amazing and intimidating new girlfriend. Low on funds and stuck in Texas for the weekend, Emily stays with the two of them in her old, but miraculously remodeled house. She quickly finds her way into the circle of a local female badass who shows Emily a good time and tries to keep her from spinning out as she goes toe-to-toe with the new girlfriend, all the ways her ex has changed, and ultimately, her own choices and guilt about leaving the past behind. 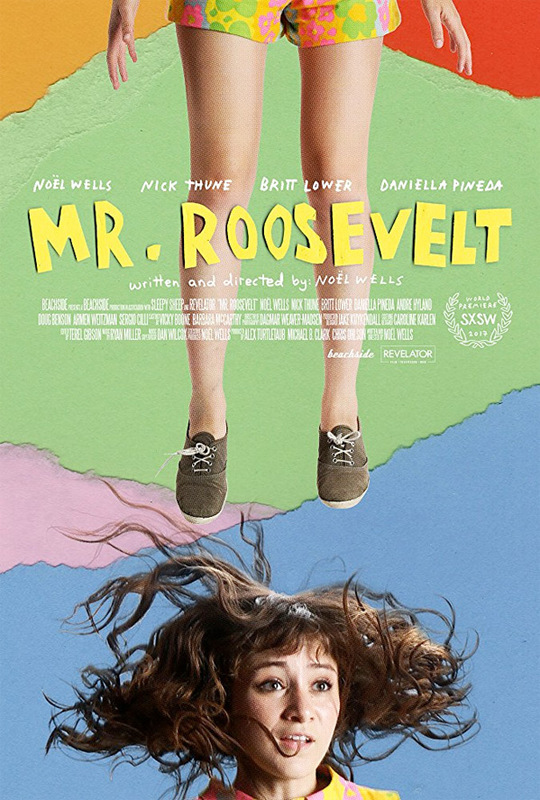 Mr. Roosevelt is written and directed by actress-turned-filmmaker Noël Wells, making her feature directorial debut. This first premiered at the SXSW Film Festival earlier this year where it won the Audience Award. The film hits select theaters starting October 27th (in Austin only) and hits other cities (LA + NYC) later in November. Who wants to see this?